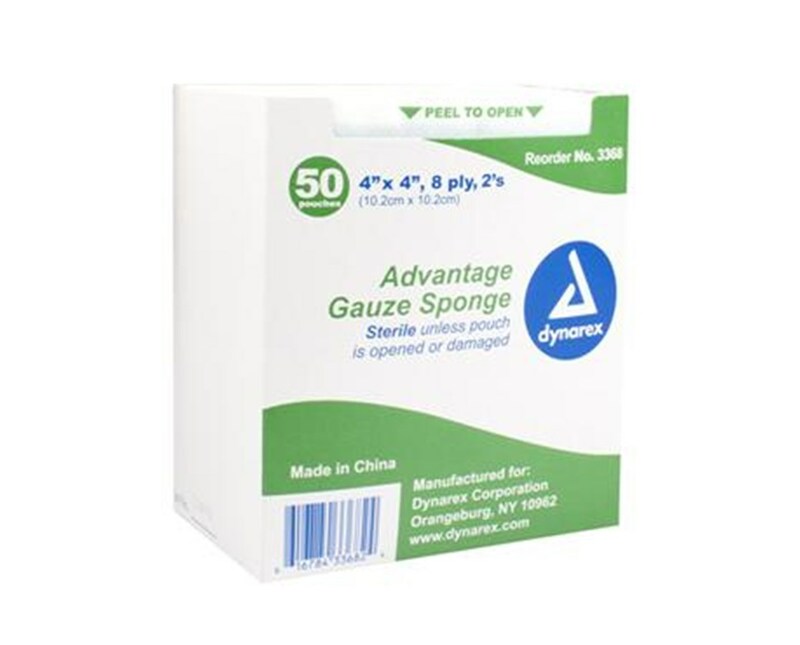 Dynarex Sterile "Advantage" Gauze Sponge is highly absorbable. Excellent for cleaning and dressing wounds, prepping, and multiple other medical and surgical procedures where sterility must be maintained. Dynarex Sterile "Advantage" Gauze Sponges are available in 8 and 12 plies great for moderate to copious draining wounds. 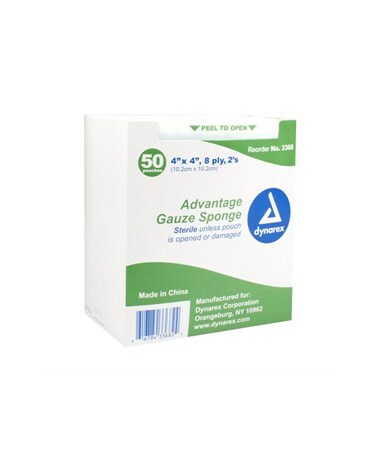 Conveniently packaged in peel down pouches making aseptic handling easier.